For a little over a year now, we've been hearing stories of how our computers, mobile phones, and basically our digital lives are being "stalked" by the NSA and other governments. Sometimes this can seem a little too cloak & daggery or even a bit too James Bond to be real. Well, let me tell you something… it's real. While I'm in no way good enough at this kind of thing to prevent it from happening, I do have a nose for looking around and finding info. I guess that's the journalist in me. Anyway, the smart people at Kaspersky have done a ton of research on this stuff and have put up a blog post about it. While it's a bit technical, if you take the time to read it and really digest it, chances are it'll make your hair stand on end. At least the hair on the back of your neck. I get a kick out of the express no "the elephant in the room". It basically means when something bad is looming and everyone chooses to ignore it for some reason. My good friend and colleague at Dental Products Report Kevin Henry sent an e-blast out this week that contained an article by Janice Janssen, RDH, CFE that speaks about dental office embezzlement. The problem is much more common than you think. A Google search for the term "dental office embezzlement" returned 33,500 hits in .49 seconds. Think about that. There are 33,500 references to the topic on the Internet. If there are that many references, how common do you suppose it is? You're right. So, with that in mind, head on over to Dental Products Report's Practice Management site and give the article a read. The article can be found here and is well worth your time. About 25 years ago I was approached by a gentleman who had just started a new dental laboratory in the Lee's Summit area. At that time, I was a fairly young practitioner and just starting to learn the ways of running my own private practice. I found that the owner of this new lab, Joe Forte, and I had a lot in common. We were both about the same age, both were trying to start her own new businesses, and both had a tremendous desire to help patients achieve the very best oral health possible. Joe's laboratory business was in its infancy, and he was being run out of the basement of his home. I'm not sure how many clients he had at that point in time, but I know that I was one of the 1st. Over the years, we've both seen our businesses grow. However, no matter how much success that Technical Crown and Bridge has achieved they have always managed to remain focused on what is important. And, of course, what is important is doing the very best possible for the patient. In the time that I had been a client of Joe's I can count the number of times I've used in the lab for a fixed prosthetic case on 2 hands. A lot of the doctors I know use a variety of labs depending upon the complexity of the case, the aesthetics required, or perhaps the amount of time needed for delivery. Some practitioners will even choose a lab based on the cost of the case. I consider myself pretty lucky because no matter what the parameters of any case may be I have one phone number to call and one laboratory team to count on. At this point in our careers Joe and I can almost finish each other's sentences. By that I mean he knows what I'm thinking and I know he's thinking. It makes for a great relationship that in the end provides a tremendous service and value for our patients. Also, since Joe is local it's not unusual for him to be in my office to help shape match and anterior case or to help with on-site adjustments for complicated prosthetic reconstructions. It's a great service when the laboratory technician is actually in your office adjusting and polishing the complicated case so that you can cut down the number of appointments needed to finish the case as well as ensure that the final result is 2nd to none. As I said before, this blog is about technology and life. The good folks at Technical Crown & Bridge use technology such as digital impression systems and state-of-the-art ways to create amazing prosthetics. That in turn helps simplify my professional life. Joe and his team are highly recommended. If you're interested in their services call 816–537–0070. I'm confident you'll be as pleased as I am. Over the years, I've had the good fortune to deal with many of the team members from both Ultradent and Solution Reach. In my role as Chief Dental Editor and Technology Editor for DPR, I've been able to meet many members of both companies and I've always come away impressed. Both companies are guided by good principles and the employees I've interacted with have been good people who have their ethics in the right places. One of the things I try and evaluate when I'm first getting to know a company, is how do they rate on my own personal "ethics scale". In that regard, I've always found both companies to be focused on doing things the "right way" and always striving to do "the right thing". That's the kind of company I want to have dealings with and the kind of company I want to write about. As a profession and as a society we need to support and deal with companies that have that focus. For those of you who don't know, Solution Reach was, for many years, known in dentistry as Smile Reminders. And, as we all know, Smile Reminders (before the name change) was one of the best patient reminder systems on the planet. The company was providing those services in lots more spaces than just the dental market, so they decided to do away with the name that referenced dentistry (Smile) and tried to unify the company behind a common brand. On Tuesday June 24th, 2014, I received the following press release from Ultradent and Solution Reach. Read on for all the news! SOUTH JORDAN, Utah, June 24, 2014—Ultradent Products, Inc. has partnered with Solutionreach, a cloud-based platform of solutions for improving the success of health care practices. As part of the partnership, Solutionreach has created Ultradent-specific content for practices to use in their patient communication. In addition to the large library of newsletter templates and prewritten articles, the platform will now include a line of custom newsletters that feature Ultradent products. Practices can personalize these Ultradent-focused templates to promote their services and educate their patients with professionally designed outreach. Solutionreach will also have a presence at selective Ultradent events to support the companies’ shared goal of giving dental professionals the tools they need to succeed through better care for their patients. Sometimes it can be the little things, the little advancements in our profession that make the difference. Today we had a situation that created the reason for this post. One of our patients is going to have an implant placed for tooth #8. The tooth has fractured at the height of the gingival crest and the root structure is still present and intact. The patient is in no pain and, due to that fact has put this situation on hold while putting away some money for the implant procedure. To provide acceptable aesthetics, Super Assistant Sam-I-Am has created some essex retainers to create the appearance of the missing tooth. During the time the patient has been wearing these, Sam has created a few replacements as the current device became worn of simply wore out. Today Sam took a new impression (photo above) using Dentsply's alginate replacement Algin-X. We have also used Kerr's Alginot with equal success in these situations. The joy of Algin-X and Alginot is that they are vinyl polysiloxane (VPS) materials and are very dimensionally stable throughout multiple pours. This was where the "bacon saving" portion of the post comes in. Sam was having "one of those days" (admit it - we all have them) and *needed* the multiple pour aspect. Her first model fractured a tooth as it was being separated from the impression. The second model had a large bubbblle in one of the teeth near the edentulous space. I believe the third pour was the winner & allowed her to fabricate the final interim restoration. Using traditional alginate, there would have most likely been enough tearing of the impression or enough wear and tear of the impression that 3 pours would have most likely been impossible. That would have meant another patient visit and subsequent delivery and follow-up appointments. Utilizing a low cost VPS allowed us to avoid those situations. Over the weekend, I was contacted by my friend Dennis at Dental Learning Centers. The company has been involved with digital photography and all kinds of imaging in dentistry for several years now. I've always known them to have good stuff and to be a reputable company to deal with. The contact over the weekend was to let me know about a new product they are offering called ShadeWave. It is a new shade matching system that utilizes digital photos. I'm going to be taking a tour of the software in the near future with perhaps a test drive as well. Once I have more info, I'll report back here. ShadeWave utilizes the Science of Color to mathematically correct photos real-time and provides the perfect shade. It’s widely known that manual methods to shade matching teeth have many inherent weaknesses. Some of these are the ability of the person, eye fatigue, lighting, inconsistent shade tabs and no method for determining value. This is further compounded by the misinterpretation created with certain contrasting neighboring colors such as gum tissue next to a tooth. The sad reality is one doesn’t know the match or mismatch until the worst possible time; when you try it in! The ShadeWave Dental Shade Matching System is open to all shade guides and manufacturers including custom shade guides, stump shades, cad-cam blocks and even gingiva colors. It's easy to use and accessible from any computer with an internet connection. Upload, access and store your images from any computer. ShadeWave provides a web based, single server location where images are processed and stored. The dentist or staff can easily enter the patient name, upload images and, choose their laboratory of choice to process it directly for direct composites or choosing a cad-cam block. The laboratory will automatically be notified by email and given access to the case. The lab will process the image, manufacture the restoration(s) and have a mechanism for shade quality control. A digital camera image is made of the patient’s tooth or the one that has been manufactured on the bench. In the image, next to the tooth is our scientifically formulated ShadeTarget placed near the tooth. The reference target has known mathematical formulas as do all of the shade tabs. These are called our Standards. The image is then uploaded into the ShadeWave program. The user selects their image and clicks on Auto Correct. This unleashes an automatic process that locates and determines, through the use of advanced algorithms, the formula of the reference target colors. The target formula is then compared and mathematically equalized to the Standard. This color corrects the entire image revealing all of the unknown shades, translucency and value. ShadeWave's Quality Control-Shade Comparison's, enhance the process of comparing shade; translucency and value of the color corrected original image to the color corrected completed restoration. Integration is available to all manufacturers of porcelain, whether powder, blocks or composite material. We also welcome integrating ShadeWave with digital impression systems and cad-cam manufacturers. I was thinking yesterday how dependent I am on Google and how much of my life is directly affected by both the creativity and the generosity of the good minds in Mountain View, California. This blog, is part of blogger which is a Goggle company. I've been using this platform for several years and Google offers me this amazing service, my URL, and all the storage and traffic for free. Amazing! I also use Gmail for email when I'm mobile (which is a big portion of my time) because it is simple to get on all of my mobile devices. Also, since it is cloud based, it functions a bit like IMAP email meaning I can read it on any device and when I delete an email, it doesn't show up on any other devices either. My life is organized by Google Calendar. Once again, since it is cloud based I can access it from any device with an Internet connection (just like Gmail). Also, it allows me to have multiple calendars setup that I can use and see. I have my travel organized through cloud based Tripit (NOT a Google company) and Tripit places all of my travel info onto my Google calendar via a Google Travel Calendar that I have setup. I also have my calendar merged with my wife's calendar. That way, she can see all of my trips and appointments and I can see hers. That really makes things more organized and eliminates scheduling conflicts. My text messaging and voice mails are all organized through Google Voice which allows me much more flexibility that any other voice mail service and doesn't cost me a dime. I have Google Drive which is cloud based storage that I pay for. This also gives me Google Play storage where all of my audio files are automatically backed up to the cloud. I can also play any of my music through Google Play. The final piece of the puzzle, is Google Apps. As part of my Google Drive I can create documents, spreadsheets, presentations, forms, and drawings. These are all stored in the cloud and can be downloaded in multiple formats. Once again, the real joy for me is that I can start an article in Google Docs & then work on it from any device with an Internet connection. I do all of my articles this way & I've been known to write from my iPad, iPhone, and computer. Amazing stuff all courtesy of the folks at Google. JADA Live - The Journal of the American Dental Association is Hitting the Road Soon - Make Plans to Attend!!! Later this summer and into the fall, there will be a series of JADA Live seminars coming. The idea is simple: bring the page of the Journal of the American Dental Association to YOU live. I was fortunate enough to be involved with 2 of these really cool and innovative programs last year… and this year I've been asked to return and participate in 3 more or the programs. This year's 3 programs will focus on digital technology, with a special emphasis on 2D and 3D radiography. The clinical concept of "digital x-rays" began to take enter the market in the very late 80's and/or the very early 90's. I can still remember visiting a dental school friend of me, Dr. Greg Holm in Wichita, Kansas and seeing he system. It was one of the coolest dental tech things I'd seen (up to that point in time) and I loved it! Since then, my beloved profession has seen so much growth in technology that it is almost stunning how much technology has changed my professional life. Now programs such as JADA Live are bringing the "creme de la creme" of leading edge dental hardware & techniques to major population centers so that you can learn on Friday and return to implement your new knowledge on Monday. For all the details go to the event website to learn more & even register. I *LOVE* the magazine Wired. I'm not sure who many years I've been a subscriber, but suffice it to say that it's been so long that, if I would have saved all of my issues, I might actually have some that could be worth a little cash. There are lots of reasons I love Wired, but one of the biggest is because it truly is a forward thinking publication. The folks there aren't just reporting about the technologies surrounding them, they are actually looking and considering the applications as they evolve. Ever since "The Edward Snowden Affair" broke last year, I've followed with interest how the whole thing has evolved and how (if any) changes will be implemented and ensured. So… today's blog post here at the ol' Flucke Blog will deal with a great article posted online by my heroes at Wired. Give it a read and then please post your thoughts in the comments section. Remember information *wants* to be free. Even before the Snowden story broke, I was seeing things that told me the surveillance state was already way, way upon us. I had been making some attempts to make myself "less digitally obvious" and those efforts continue to this day. The linked article from Wired will five you even more from stuff to consider. Enjoy! The article can be found by following this link. There are a few times, though not many, that my love of baseball intersects with my professional life of dentistry. Unfortunately, this is one of those times. As a baseball fan, I was always fond of Tony Gwynn. From what I've read over the years, he was truly one of the sport's "good guys". His interviews were always sprinkled with laughter and an infectious energy that just flat out got you caught up in whatever it was Tony was talking about. I can still remember seeing him interviewed about Rickey Henderson when Rickey retired. The interview was a study in hilarity as Tony acted out Rickey who was referring to himself in the third person. ":Yo, T! You gotta help Rickey find new cleats!" or something like that. Tony was giggling like a schoolboy. The story wasn't nearly as funny as just watching Tony tell it. The energy and the laugh just made you want to listen. Yesterday, this bright light was extinguished as Tony Gwynn lost his battle with salivary gland cancer. He had chewed tobacco for most of his career and had personally stated that he felt his use of tobacco had caused the cancer. Tony was 54 and is gone way, way too soon. This is, unfortunately, the place where my profession intersects with my love of baseball. Oral cancer robs us of one life every hour here in the United States. It is one of the few cancers that is actually becoming more common… affecting more people instead of fewer each year. Unfortunately, one of those who succumbed today was Tony Gwynn. There is a reason why I'm so passionate about oral cancer screenings being performed on a regular basis in the dental office. Anything we can do to minimize the impact of this terrible disease, the better. Tony was only 54 years old. He leaves behind a family and a huge number of fans who loved him. He is gone way too early and its sad. To lose anyone at 54 years of age is a tragedy. If you are a dentist, please make sure you are doing oral cancer screenings on your patients. If you are a patient and haven't had a checkup in a while, schedule one today and make sure it includes an oral cancer screening. Sometimes technology is small and sometimes it's big. Like this post of a radical new design in naval vessel called GHOST. I was doing some research over the weekend and when I came across this information, I knew I had to share it here. I mean, if I can't share it with you guys… who love tech as much as me, then who *can* I share it with. Read on for more details & then watch the video above. NEW YORK – (DGIwire) — Like all branches of the military, the U.S. Navy is undergoing revolutionary change, where time-tested military tactics and cutting-edge technological advances can potentially meet formidable challenges. One of the greatest threats on the high seas is low-tech vessel attacks with conventional explosives; for example, the October 12, 2000 attack on the USS Cole that killed 17 sailors and wounded 39 others. That horrific event alerted America’s military to the clear and present danger of those tactics being used again against our Navy and other military branches. It also underscored the need for new solutions. One innovative company is stirring great excitement among a variety of naval leaders. Juliet Marine Systems, a maritime technology company headquartered in Portsmouth, NH, takes historically proven systems, combines them with new technologies and comes up with breakthrough solutions to existing needs. With regard to the ongoing threat of terrorist attacks against America’s naval and coalition ships, the company has developed a first-of-its kind anti-terrorism vessel called GHOST. It is a combination of stealth fighter aircraft and attack helicopter technologies packaged in a marine platform. The unique capabilities of GHOST are designed to provide a marine surface and subsurface platform for tracking and identification of multiple targets. Systems for integrating onboard weapons will be designed to be capable of multi-target firing solutions while GHOSToperates at very high speed. These weapons integration systems will also allow for attacking several targets simultaneously with a variety of weapons systems options. Already GHOSTvessels have the ability to create a protective fleet perimeter, while providing sensor and weapons platforms to deny surface or subsurface intrusions. The company is additionally developing highly promising commercial applications in the maritime arena. These are the same capabilities that have made helicopters valuable, thanks to an aircraft’s ability to get to hard-to-reach locations quickly. GHOST crews can offer personnel rotations or resupply runs for critical items needed at off-shore oil rigs—all two to three times faster than the craft currently in use, far less expensively and with fewer weather restrictions than helicopters. Another possible use: GHOST is also two to three times faster than most ferries in use today. Life gets crazy sometimes… and this is one of those times. I'm taking a week off from blogging to handle some pressing matters. I'll be back to the regular schedule next week. My buddy and cohort at Dental Products Report, Kevin Henry has been working hard on a really great story. The best part of it is as Group Editorial Director of Advanstar Dental Media he knows a good story when he see one… and he's been following this one for over a month. In this second article on Google Glass and what it means to dentistry, Kevin looks at how the wearable computing system of the future can be integrated to work with today's dental software platforms. Steve Jobs introduced the original iPhone 6 years ago this month. Since t hen we've seen massive growth in the mobile computing market. Can you imagine going back to a time where you never used an iPad? I didn't think so. I also don't think 6 years from now we will want to go back to a time without "wearable" computing (like Glass) or Cloud Computing either. Google Glass is made for the Cloud and as that type of computing becomes more main stream, we will begin to work there more and more. For a look at the future & how Google Glass can change our lives & the way we practice, take a look at Kevin's terrific article at my writing home on the web, Dental Products Report. A tip of the electron on this one to my good friend Tom Baugh who is President of KC Constructors. We were spending some time together Sunday night and he (being a geek like me) asked if I had looked into the concept of roads made out of solar panels. When I confessed I hadn't researched it, he told me that I definitely needed to take a look at it. The project is amazing, to say the least. I'm sure that there are bugs to work out and probably some hiccups to overcome, but the overall concept seems fairly straight forward. It appears that most of the people reading Indiegogo thought it was a good idea as well. Last night the project had $1,875,663 USD pledged and the company had requested an initial round of $1,000,000. That means they have reached 188% of their requested goal. Persuasive! Solar Roadways is a modular paving system of solar panels that can withstand the heaviest of trucks (250,000 pounds). These Solar Road Panels can be installed on roads, parking lots, driveways, sidewalks, bike paths, playgrounds... literally any surface under the sun. They pay for themselves primarily through the generation of electricity, which can power homes and businesses connected via driveways and parking lots. A nationwide system could produce more clean renewable energy than a country uses as a whole (http://solarroadways.com/numbers.shtml). They have many other features as well, including: heating elements to stay snow/ice free, LEDs to make road lines and signage, and attached Cable Corridor to store and treat stormwater and provide a "home" for power and data cables. EVs will be able to charge with energy from the sun (instead of fossil fuels) from parking lots and driveways and after a roadway system is in place, mutual induction technology will allow for charging while driving. Solar Roadways has received two phases of funding from the U.S. Federal Highway Administration for research and development of a paving system that will pay for itself over its lifespan. We are about to wrap up our Phase II contract (to build a prototype parking lot) and now need to raise funding for production. Our glass surface has been tested for traction, load testing, and impact resistance testing in civil engineering laboratories around the country, and exceeded all requirements. Solar Roadways is a modular system that will modernize our aging infrastructure with an intelligent system that can become the new Smart Grid. We won the Community Award of $50,000 by getting the most votes in GE's Ecomagination Challenge for "Powering the Grid" in 2010. We had the most votes again in their 2011 Ecomagination Challenge for "Powering the Home". On August 21, 2013, Solar Roadways was selected by their peers as a Finalist in the World Technology Award For Energy, presented in association with TIME, Fortune, CNN, and Science. Solar Roadways was chosen by Google to be one of their Moonshots in May of 2013. Solar Roadways was chosen as a finalist in the IEEE Ace Awards in 2009 and 2010. Solar Roadways is tackling more than solar energy: The FHWA tasked us with addressing the problem of stormwater. Currently, over 50% of the pollution in U.S. waterways comes from stormwater. We have created a section in our Cable Corridors for storing, treating, and moving stormwater. The implementation of our concept on a grand scale could create thousands of jobs in the U.S. and around the world. It could allow us all the ability to manufacture our way out of our current economic crisis. SAVANNAH, GA (May 15, 2014) – Brasseler USA®, a leading manufacturer of quality instrumentation, is pleased to introduce the ESX® Rotary File. Designed with several performance-enhancing patented features, ESX Rotary Files are designed for a powerful yet minimally invasive performance, maximizing the long-term success of the treated tooth. The ESX Rotary File is equipped with a patented ACP™ (alternating contact point) design that efficiently cleans 3 dimensionally as its sharp cutting edges engage with the canal walls at opposing intervals. The asymmetrical flute design alternates between zero to three points of engagement while moving debris coronally in a wave-like motion. This mechanism allows the ESX to operate at a low torque setting yet at a higher speed, reducing stress on the file and root. In addition, the triangular cross section of the ESX Rotary File supports sharper cutting edges and a larger chip space for more effective debris removal. As with all Brasseler USA rotary files, the ESX Rotary File surface is treated with Brasseler’s exclusive proprietary electropolished finish. The electropolished treatment greatly improves resistance to cyclic and torsional fatigue often associated with the long-term use of dental rotary files. apical progression and clearing of debris while respecting even the most challenging canal anatomy. The BT Tip features six cutting edges that smoothly transition to a true reamer design for increased cutting efficiency, and has an anti-ledging and anti-perfing centering mechanism that provides superior performance each and every time. 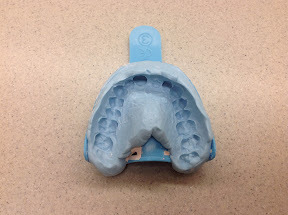 For more information about the ESX Rotary File, please visit http://brasselerusadental.com/index.cfm/esx/ or call 800-841-4522.